Touted as an enemy of Muslims by the perpetually hostile mainstream press and accompanying chorus of braying liberal enemies, the president was treated with a triumph that rivals those afforded the royalty of ancient Rome. 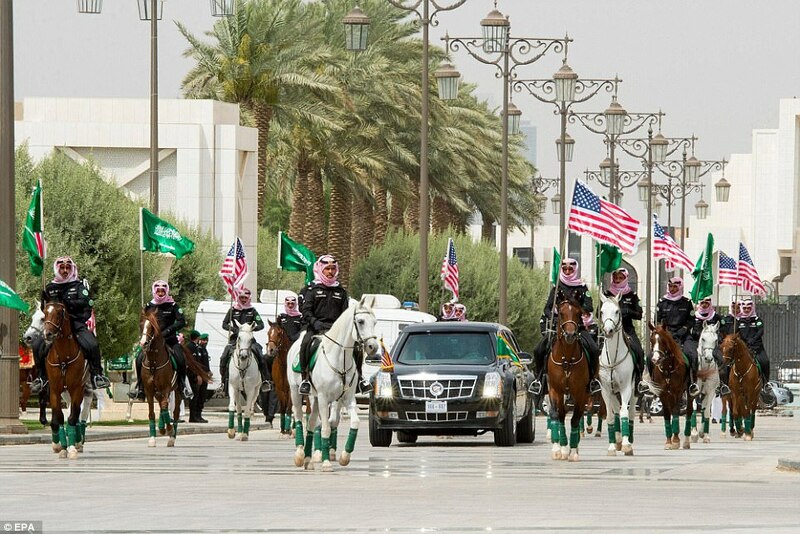 Saudi horsemen, some brandishing the American Flag, flank President Trumps motorcade upon his arrival in Riyadh Arabia. On the first stop of his first foreign trip as POTUS, President Trump was treated with a day of extraordinary pageantry and ceremony. Melania Trump, sans head covering, carried herself with a faultless regal bearing . 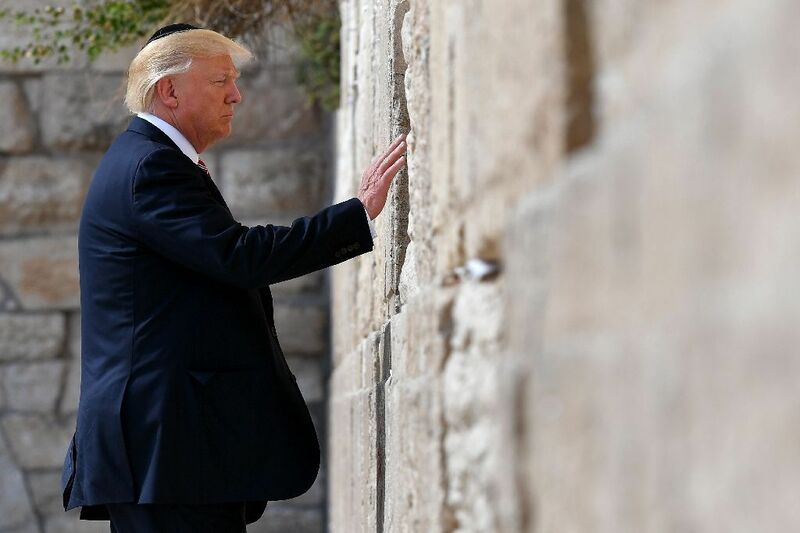 Trumps next stop, Israel, afforded a more humble a greeting but Trump and B.B. Netanyahu have been close friends for a quite a while. His next hit is Rome and a meeting with the Pope. In his trifecta of the Abrahamic religions, thus far, his trip has been a raging success. His predecessor, in abandoning Iraq, supporting the Muslim Brotherhood in Egyptian internal politics, and subsidizing Iranian interests to the tune of 400 billion dollars as well as his policy of non-interference in withdrawing from the middle east has left a region (that has always been problematic) in flames. The reaction of all parties, from Riyadh to Tel Aviv, has been a sigh of relief that America is back to lead them from the fray. We are back. This entry was posted in History and tagged Israel, POTUS, Saudi Arabia, Trump by jackhammerjohn. Bookmark the permalink.